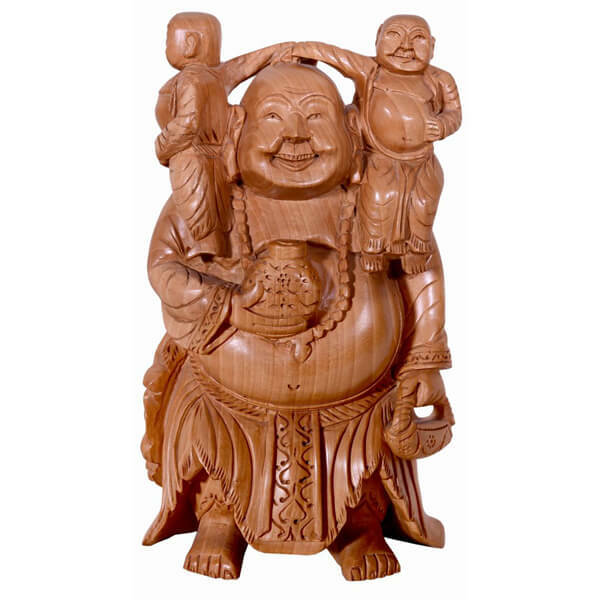 This giant laughing Buddha carrying two more happy buddhas on its shoulders looks very attractive. This figurine is often considered as a lucky charm for the house. 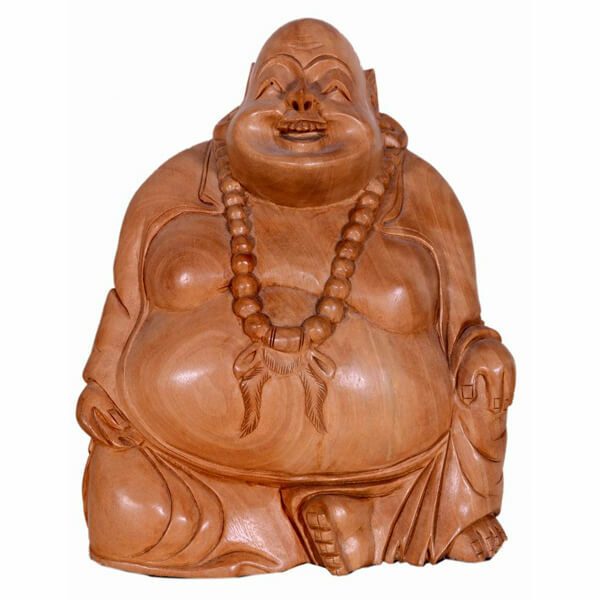 This joyful hand carved laughing Buddha statue made from teak wood can bring prosperity and good luck for you. This is among the very economical collections of Shopolics. 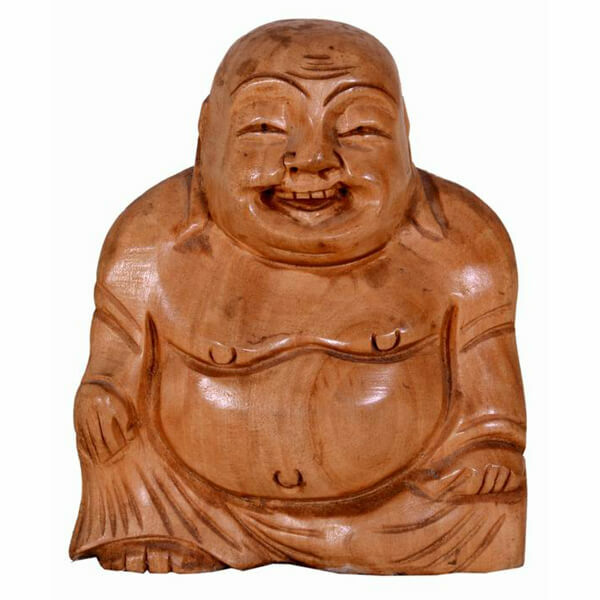 This teak wood laughing Buddha figurine has been manufactured by an experienced handicraft team and this statue is highly durable.